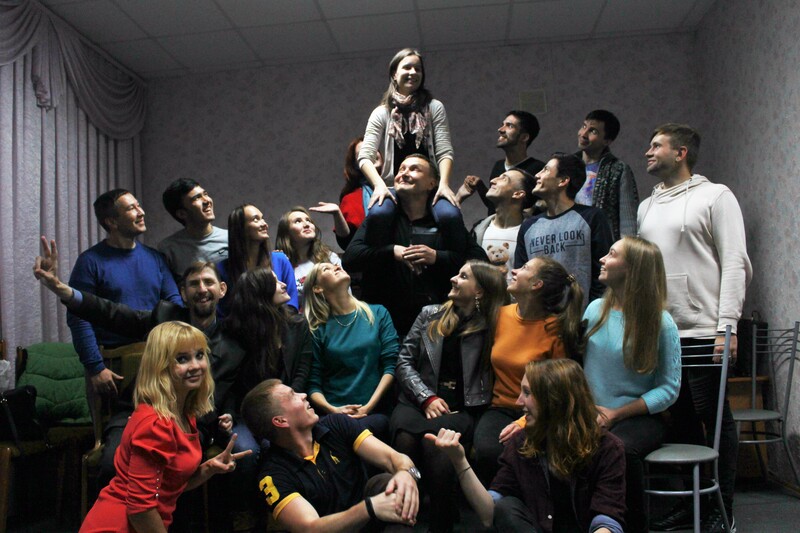 On the 26 September we held a little party at Дворце Молодежи to say goodbye to our beloved volunteer from Hungary, Sara Jankovszki. In her farewell party, we had the opportunity of thanking Sara for all her work and for all the time we have spent together while tasting some German and Hungarian specialities. Many beautiful words were said, some tears were shed and we all wished her all the best in her future projects. There were really nice and funny moments in the party, but goodbyes are always bittersweet. Although we know she has a bright future ahead, we will all miss Sara and we hope to see her soon. 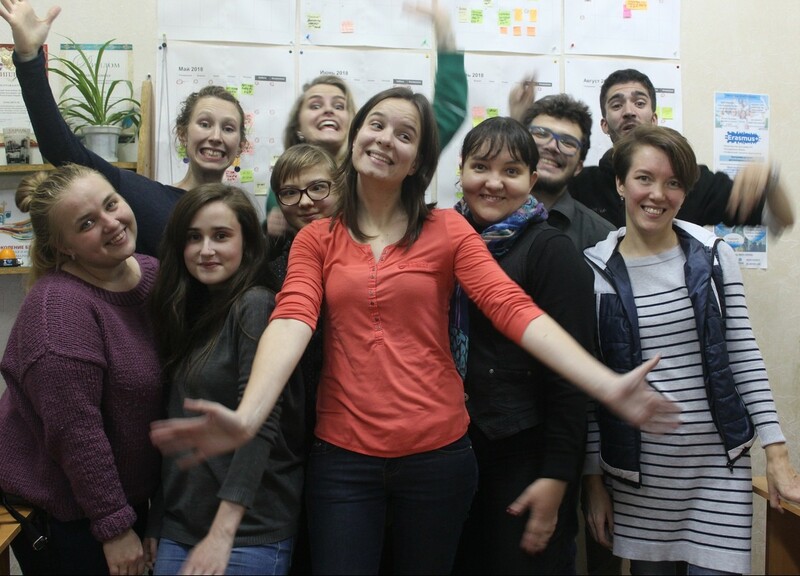 Sara arrived in Yoshkar-Ola on April, when everything was still covered in snow, and she soon got involved in the different projects promoted by Opora. 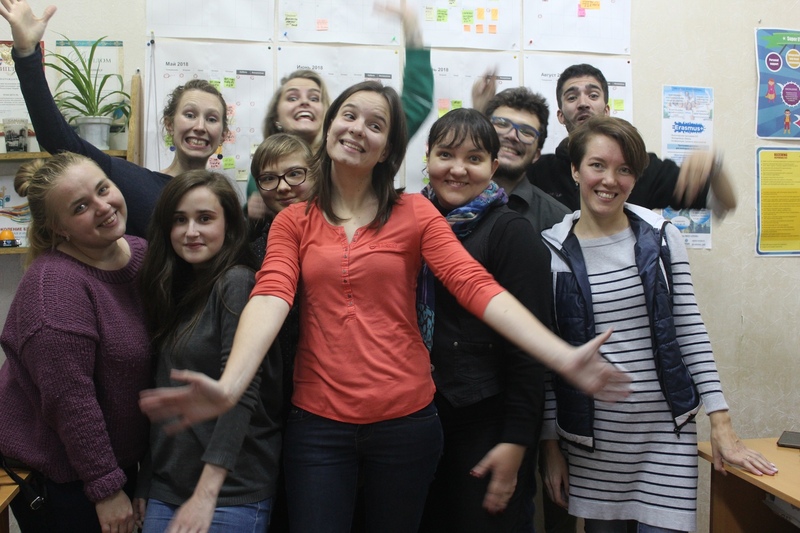 During her stay in Yoshkar-Ola, she has been in charge of the German Smoothie, she has taken active part in the different activities and events promoted by Opora, and she has been a core element in one of our most famous projects, Tramplin. Although not all the challenges faced during her six months volunteering experience were easy, it has been a really great experience for Sara. She has taken home many valuable memories, a great improvement on her Russian and English speaking skills and a huge bunch of friends. Sara could have this amazing oportunity thanks to the European Voluntary Service, a volunteering oportunity part of the Erasmus+ programme.